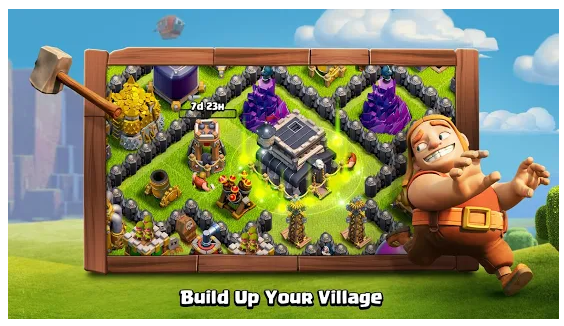 Base building games are a type of strategy games where a player needs to build any kind of base (town, castle, city etc.) and develop it to provide the resources and safety for the inhabitants. 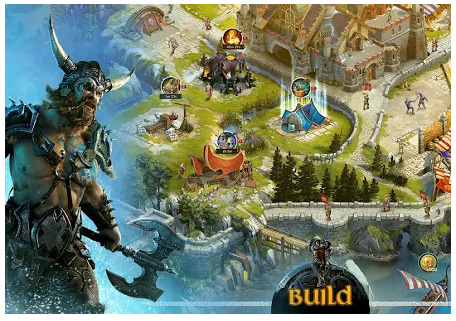 Base building games for smartphones are extremely popular among the users as they are perfect time killers and at the same time give good training for your brains. 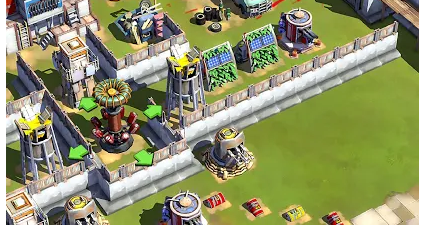 As many real-time strategy games, base building games usually contain the multiplayer mode so you can interact with other players and develop real strategic skills. 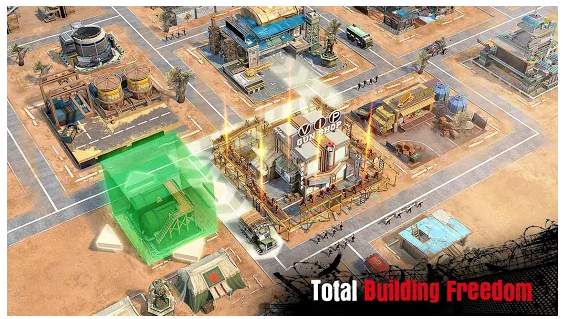 Let’s take a look at the best base building games we can find for Android and iOS devices. This is a survival game based on base-building strategy. Your task is to find and bring together the last survivors after a zombie apocalypse, to build defense bases for them and to do everything to protect your people and to win in the war between the humans and zombies. You can develop your small defense camps into a real anti-zombie army. The game is quite developed, it is a good RTS with step-by-stem base building and daily events. This is a video game you must have heard about. It is a classic base-building game, a mix of a strategy and a war-stimulator. 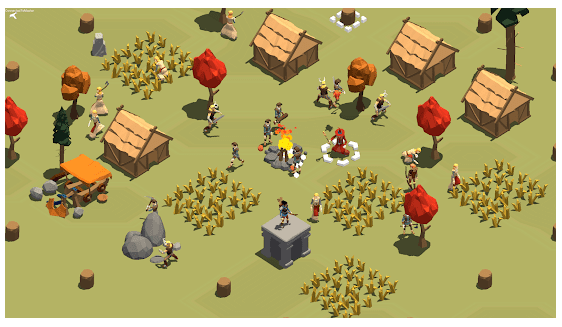 You should build a village for your clan, develop its economy and prepare your people for a fight. You can create your own clan or join any of clans founded by other players. After developing a clan, you can fight a clan war. A game based on the Fallout universe familiar to any gamer. 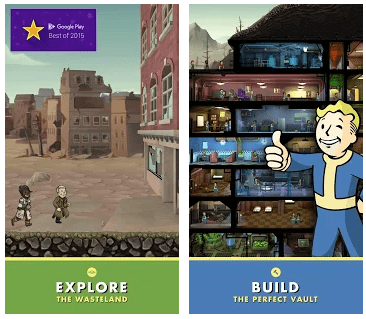 Bethesda can create interesting games for mobile platforms too. You should build a vault underground for people survived the apocalypse. The game has a well developed strategic element. You need to design your shelter, care about dwellers, manage their limited resources and protect the population from post-nuclear life. You can let your people explore the Wasteland, so with all the features, the gameplay is diverse. You should definitely try this game, especially if you are a Fallout fan. Space colonization is something that definitely requires strategic skills. This game offers you to build your own colony outside your planet working with different kinds of maps and civilizations. The game provides many different buildings. Unlike many other games, all the buildings are free (you can buy only decorations). You can play both in single-player and multiplayer mode, whatever you like. This game, in my opinion, differs from the others listed, but it is still a nice game you should try. Another fight-oriented base building game. You can build your own empire using 60 different constructions you can upgrade. Developing your empire, you should cooperate or wage wars with other emperors. The game provides many different war units and weapons so you can develop your own fight strategy. The game is quite popular so the creators make everything to make the game interesting. Empire: Four Kingdoms perfect for those who want to combine an RTS and MMO games. For more real-time strategy games for iOS, check our article here: 25 Best RTS games 2018 for iPhone & iPad. 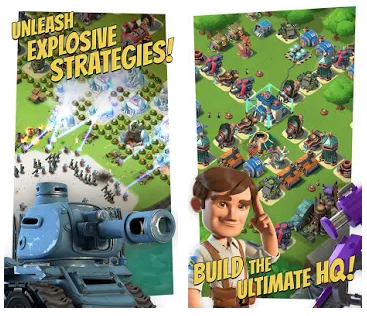 Boom Beach is also a combat simulator which includes different elements of strategy, and base-building as well. As in any similar game, you need to found your base, straighten it and prepare for an epic fight. The game provides many multiplayer opportunities, you can cooperate and conquer enemy bases together. The game is similar to other combat strategies such as World of Clans, you should try both and find out what you like most. The third war simulator game in a row! Such games are extremely popular with the users, so War and Order still worth trying. This game is good for fantasy characters fans: it has beautifully animated fights with Orcs, Elves, Beasts and so on. You should build a castle and raise your army to combat enemies. 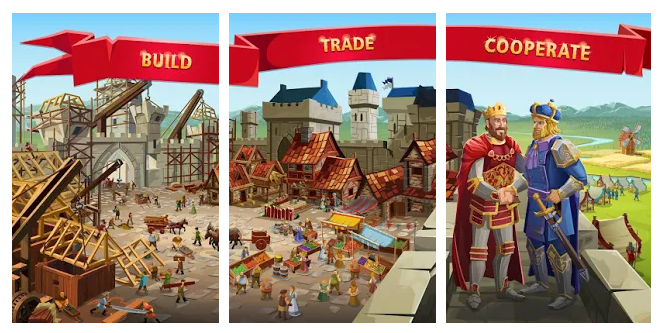 In order to protect your castle, you can make alliances with other players, trade and cooperate with them, or fight them. Perfect for those who love games for graphics and enjoy combat strategies. 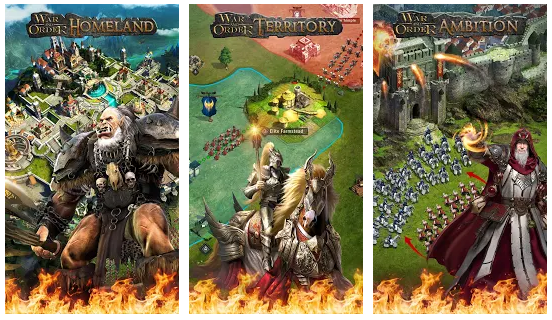 This game offers you to build your own kingdom and make it prosper. The game has a deep plot and good strategy opportunities. You can decide how your realm will develop, you can manage the resources your buildings are giving and build alliances with different factions. The game provides deep strategy rich content, many events, and various achievements, so the process of playing will not get boring soon. 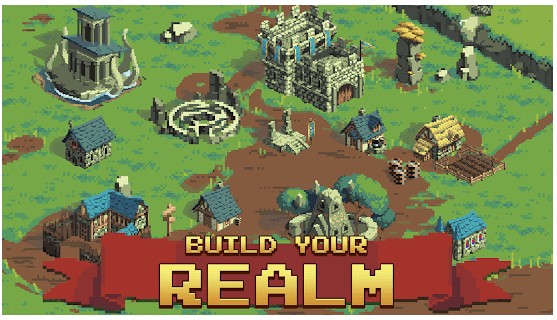 Realm Grinder is a classic city building game you will find perfect to spend your time on. Last Shelter: Survival is another post-apocalyptic survival game where you need to build a settlement for survivors and prepare them for devastating circumstances of the wasteland life. The game provides absolute freedom in building your base and training your troops to fight against enemies. You have the ability to join different alliances from different countries, so you can be a part of a world-wide battle. What is more, the game has very realistic graphics. For more zombie games, check this article: 21 Best Zombie game apps for Android & iOS. 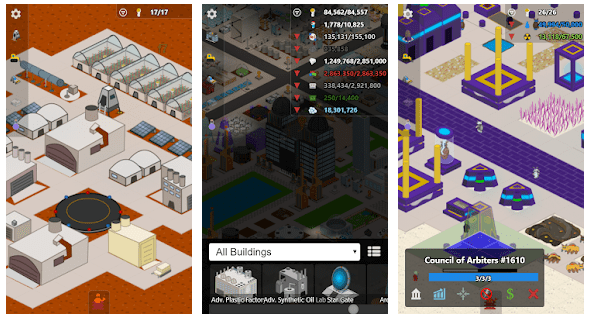 City building games are perfect for those who want to try base-building strategies but don’t like war simulators. And SimCity BuildIt is one of the best of this kind. You need to build a city with developed infrastructure: from three buildings and a narrow road to a megapolis with an airport and a fancy beach. Your citizens will react to any change you make for your city as a mayor: so, if you don’t provide some facilities, they will leave their homes. The game has nice graphics and is a really good RTS. You can join other mayors’ clubs, exchange goods, win club wars and make your cities prosperous places. 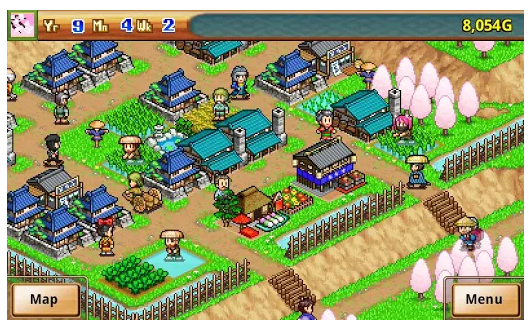 A cute game made by Kairosoft Co., Ltd takes you back to the old Japanese village fully inhabited with ninjas. You should become a leader for brave warriors of the 16th century and train them for great fights. The game successfully combines an RPG combat game and base building strategy, which is quite simple in this game. And if I haven’t said it yet, the graphics and gameplay are really cool. For this game, some price may be charged, but you can find a lite version as well. DomiNations is a strategy game which is very similar to Civilization games, however, it has an aspect of base-building. 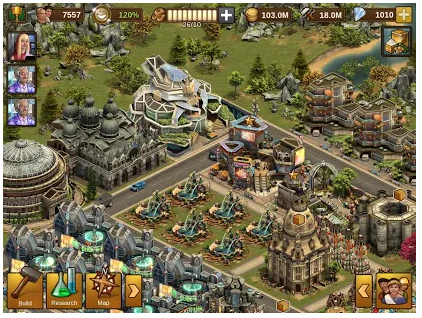 In this game, you found a village, and then you must conquer the world, having gone through the whole humans’ history and bringing the inhabitants from the ancient times to the modern era. The picture is quite realistic, as well as the gameplay. The game is worth trying for everyone who likes strategies. This minimalist RTS game is a classic base-building game. Just everything you need to feel the genre. You build a village, train your troops and heroes and win battles. 10 different modes. You can choose a peaceful mode and focus on your village’s development, or a survival mode where you don’t need to build anything and just fight wars. Many types of enemies: other villages, barbarians, pirates etc. So, this game is for those who love classics. 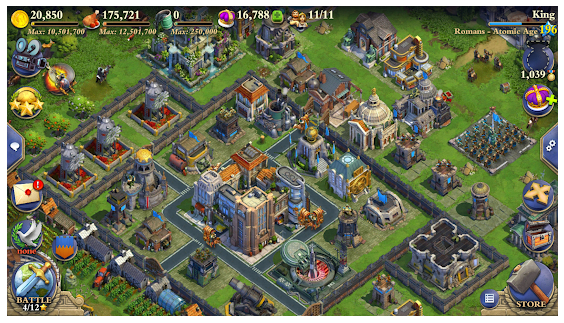 Forge of Empires is a city-building game with a time aspect. You should build your settlement and develop it through the Stone age to the modern era. The game provides an opportunity to raise your empire and build its economy from the scratch. What is more, in this game, you can train your diplomatic skills negotiating and fighting over territories with other players. And the last, but not the least base-building war simulator, where you establish your clan or join one and prepare to fight the great battle. Many opportunities for developing your army. So, it was the list of the best base building games for your device we could find. Play good games, enjoy your time and develop your strategic thinking!